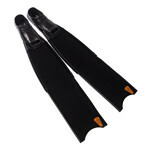 High quality Deep Blue NEO freediving and spearfishing fins, hand made from a high quality composite fiber mixture, processed under vacuum in molds. 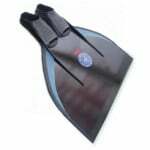 High quality Deep Blue NEO freediving and spearfishing fins, hand made from a high quality composite fiber mixture, processed under vacuum in molds. 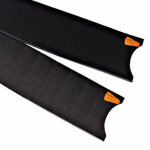 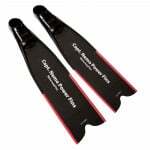 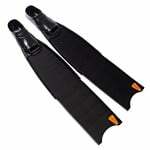 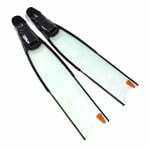 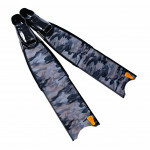 The fin blades are covered with a thin neoprene material with a Teflon surface.